Bakery owner George Weston Ltd. says it and grocer Loblaw Companies Ltd. alerted the Competition Bureau immediately after discovering a more than decade-long bread price-fixing arrangement in March 2015. George Weston Ltd. and Loblaw Companies Ltd. revealed Tuesday that both the bakery owner and grocer participated in an industry-wide bread price-fixing arrangement for over a decade, but will receive immunity after tipping off Canada's competition watchdog. "This is a difficult matter and clearly something that never should have happened," said Galen G. Weston, CEO of both companies, in a conference call with analysts. The companies became aware of an arrangement involving the co-ordination of retail and wholesale prices of some packaged breads from late 2001 until March 2015, they said in a joint statement. They notified the Competition Bureau and have co-operated as an immunity applicant since March 2015. "As a result of the co-operation we have provided to the Competition Bureau, neither George Weston Ltd. nor Loblaw or their respective employees will face criminal charges or penalties," Weston said. 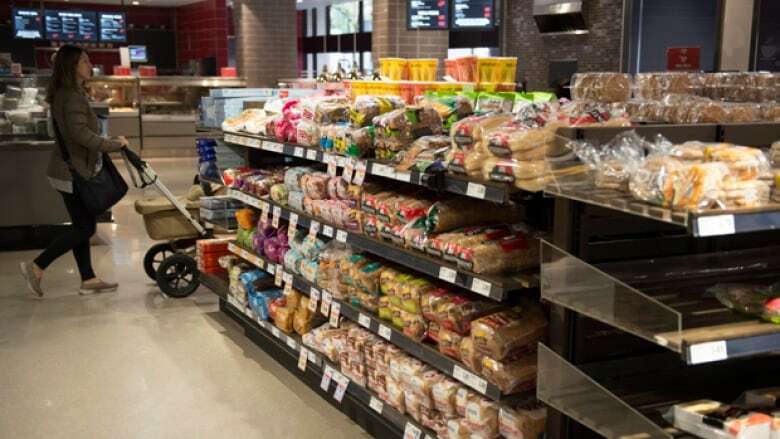 Participants in what the companies called an industry-wide arrangement included Loblaw, George Weston's bakery division, as well as other major grocery retailers and another bread wholesaler, the companies said, adding they regularly increased prices on a co-ordinated basis. Last month, the Competition Bureau executed warrants to search the offices of certain grocers to gather evidence, but said that there had been no conclusion of wrongdoing and no charges had been laid. Both the competition watchdog and Canadian retailers have remained tight-lipped on further details. Metro Inc. said at the time that the investigation concerns certain suppliers and Canadian retailers, and that it was fully co-operating. A spokeswoman said the company would not comment on George Weston and Loblaw's admission. Sobeys Inc., Canada Bread and Walmart Canada also said they were fully co-operating. The three companies and Sobeys's parent company, Empire Co. Ltd., did not immediately respond to a request for comment. Loblaw and George Weston said they've taken several steps since discovering the arrangement to beef up compliance programs. They established an independent compliance office earlier this year and provided compliance training and re-certification to marketing personnel at Weston Bakeries and all merchants and store managers at Loblaw, as well as senior managers at both companies and at parent company George Weston. The employees responsible for the companies' role in the arrangement are no longer employed there. Loblaw is also offering eligible customers who register online at LoblawCard.ca before May a $25 gift card that can be used at its grocery stores across Canada. Registration will open January 8 and spokesman Kevin Groh said broadly speaking, customers will have to declare they are at or above the age of majority and purchased certain packaged bread products at an eligible banner store before March 1, 2015. Loblaw expects three million to six million Canadians will receive the goodwill gesture and that it will book a $75 million to $150 million quarterly charge in relation to the program. The companies might also book charges related to damages in the coming quarters but said their cash balances "far exceed any realistic damages scenario." The companies do not expect the outcome of class actions filed in relation to the investigation to have a material impact on their finances. However, they added Loblaw is likely more exposed because the majority of the over charging on bread accrued to retailers. They added disclosure came after sealed court filings into the matter were made available to the companies and other affected parties for review. Canada's Competition Act prohibits agreements that "prevent or unduly lessen competition or to unreasonably enhance the price of a product," according to the bureau. That could include agreements between competitors to fix prices, or to restrict production of a product by setting quotas or other means would be considered cartel activities. Penalties for price fixing could include fines of up to $25 million, imprisonment to a maximum term of 14 years, or both. In a Dec. 19 story on bread price fixing, The Canadian Press erroneously reported information on penalties. Based on outdated information, the story said penalties for price fixing could include fines of up to $10 million, imprisonment to a maximum term of five years, or both. In fact, they could include fines of up to $25 million, imprisonment to a maximum term of 14 years, or both.